From Dragon Ball’s 18 to My Hero Academia’s Uraraka, women and girls alike are proving they are just as good as the boys. The evolution of the shonen genre is complex, but one thing is for certain. Since its inception, the women portrayed in these often male-dominated worlds are no longer taking a backseat to their masculine counterparts. Shonen anime is traditionally recognized for its high-action, humor, and often focuses on the friendships and bonds built amongst its protagonists. While more popular shonen series often follow a male protagonist, there has been a rise in female secondary characters who rival the lead’s strength and popularity amidst fans. The history of the shonen genre can be traced back to artistic works from the eighteenth century, but most critics credit Akira Toriyama’s Dragon Ball for setting the popular trends found in modern shonen anime. Dragon Ball’s main focus is, Goku, a young monkey-tailed boy who befriends a teenage girl, Bulma, and goes on a quest to find the seven Dragon Balls. While the women of Toriyama’s early work felt more one dimensional—let’s face it Toriyama forgot that Launch existed—as the series grew, so did the women. While Bulma is easily the most intelligent character in the Dragon Ball universe, at the start of the series she’s vain, using her beauty to justify her often selfish behavior. She’s overly sexualized, often for comedic purposes, and obsesses over boys. To some extent, these character traits reflect her age, but they don’t make her an engaging character. At times, Bulma’s intellect and inventions save the day, but it isn’t until later in the series that Bulma’s character becomes more dimensional. By Dragon Ball Super, Bulma is relying more on her intelligence to help influence the story rather than her beauty, and she’s a strong enough woman to stand beside one of the most stubborn men in shonen history, Vegeta. Toriyama’s approach with characters like Bulma is a common one in shonen anime. Rather than women coming out of the gate as strong characters, they’re often presented as weak and in need of saving before undergoing a change that strengthens them—for example, characters like Rukia from Bleach or Nami of One Piece. Rukia, despite being a strong Shinigami before meeting Ichigo, ends up imprisoned, and it’s up to Ichigo to save her. Similarly, Nami of One Piece, though independent and savvy before meeting Luffy, is constantly being rescued or running from battle—with few exceptions. It isn’t until the time-skip that Nami eventually finds her own strength. In more recent years, however, titles such as Fairy Tail, My Hero Academia, and Attack on Titan have followed a different route—one that can also be linked back to Toriyama—with characters like Erza Scarlet, and Uraraka, and Mikasa. These are women who start out strong and continue that growth, much like Android 18. Android 18 is easily the most recognizable female fighter in the Dragon Ball universe. Toriyama has since introduced other female fighters, but it was Android 18 that led the way. 18 is one of the few antagonists to take on Vegeta and come out victorious—breaking his arm no less—but this isn’t the sole reason she resonates as a character. 18 is engaging because she’s complex. 18’s history and transition from human to android is interesting and makes for an elaborate villain. Despite being a delinquent as a human, it isn’t until after she’s kidnapped and unwillingly transformed by Dr. Gero that 18’s persona changes. However, her complexities don’t end there. 18, like her brother 17, is arrogant when it comes to her strength until she meets Cell. It’s 18’s encounter with Cell that showcases her human nature, and for a moment, fans sympathize with the antagonist. 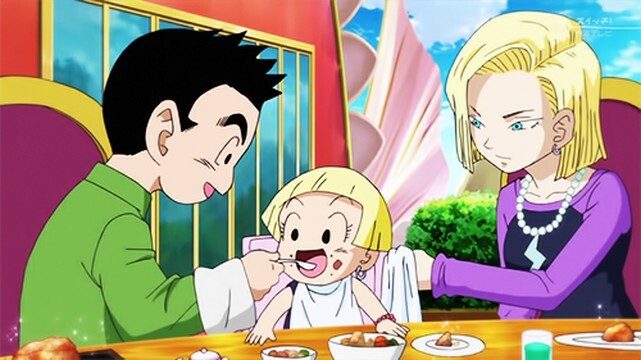 What makes 18 stand out from characters like Bulma and Chichi is that her character dynamic is complex from the start, so her transition into domestic life just adds to that complexity. 18 was once an enemy to the Z fighters, something she struggles with, but despite that she thrives. She’s a mother, a wife, but even still, she’s a fighter. It’s difficult to determine what the shonen genre will look like in years to come, but it’s safe to say it isn’t just a boy’s club anymore. While women currently dominate more secondary roles, they’re not as passive as they once were, and even those that are will certainly see their narrative arc fulfilled before long.